A new managing authority was recently appointed to oversee the $100 million revitalisation of the Oxley Creek catchment. Lord Mayor Graham Quirk was responsible for announcing the team who will eventually see the run-down catchment become a world class corridor and leisure landmark. The Oxley Creek Management Pty Ltd will be chaired by respected property and infrastructure identity Nigel Chamier AM, and board members will include Council’s Urban Futures Brisbane board members Bevan Lynch and Guy Gibson, as well as well-known local resident Anne Clarke. Cr Quirk said the company would be a wholly-owned subsidiary of Council and set up the planning framework to guide the master-planned precinct's long term vision. Initial plans reveal a revitalised green corridor, new economic hubs and world-class recreation facilities. Short to medium term projects for the catchment include establishing sport and recreation opportunities and green corridor improvements. “The project will be delivered over a 20 year period through public and private partnerships and by harnessing infrastructure agreements for works such as drainage and creek access,” he said. “Creating alternative land use outcomes and economic development opportunities is needed to help transform the once flood prone waterway into a space that will be a landmark community space. "This will reduce the burden on ratepayers but produce a wonderful public asset. 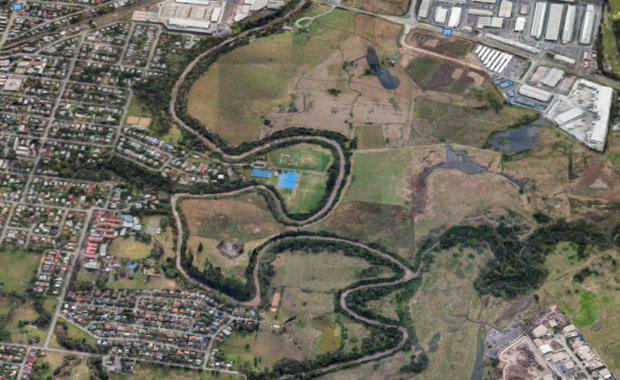 The project will reportedly be bigger than the Norman Creek Master Plan, which is currently cleaning and 'greening' a heavily urbanised area, while council currently completes the new and larger Coorparoo Creek Park.